What? 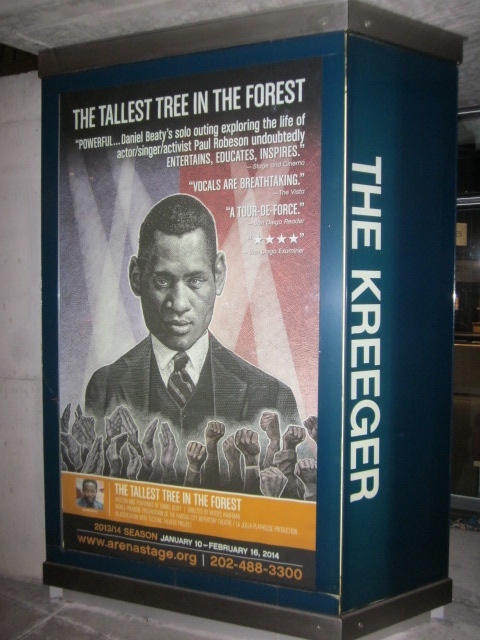 From the show website: "Bursting with soulful music and poetic storytelling, The Tallest Tree in the Forest combines the theatrical talents of award-winning artist Daniel Beaty (Emergence-See!) with acclaimed director, Moisés Kaufman (33 Variations, The Laramie Project). Discover the true story of Paul Robeson, hailed as the ‘best known black man in the world’ for his incomparable singing and acting, brought low by accusations of disloyalty to America. Backed by a live band, Beaty brings “his signature wit, grit and piercing lyricism” (New York Times) to more than 20 characters, asking the question, how does a man remain an artist when his soul cries out to be an activist?." Paul Robeson has always been a familiar name, and I certainly had an appreciation for his historical import. But the details of his story were not so familiar, and this solo show was a powerful way of conveying the layered influences operating in his life; and consequently on the story of the Black American experience on which he had such an impact. The set was richly detailed, and seamlessly integrated the musicians, and the progression of time in the story, while maintaining focus on Daniel Beaty's portrayal of this complicated man. What? From the show website: "A touching story of love, hope and healing. In the early 1960s, a young woman travels across the South in search of a miracle. On her journey, she meets two young soldiers who help her learn about courage, beauty and her own self-worth. 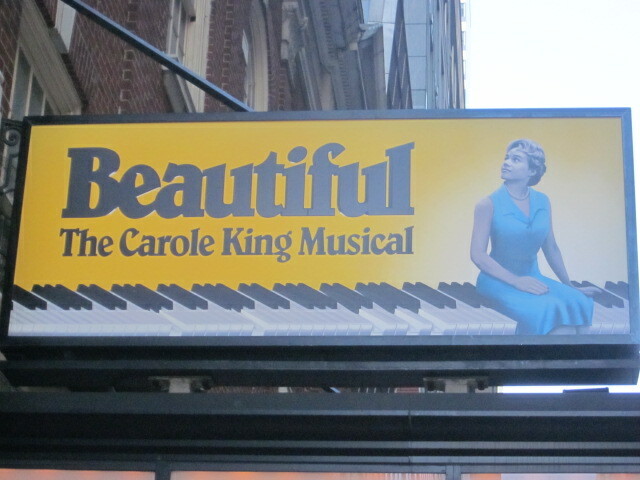 Jeanine Tesori (Caroline, or Change) returns with a dynamic score of bluegrass, gospel, country and rock. 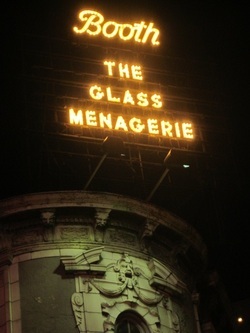 Directed by Tony-nominated Jeff Calhoun (Broadway’s Newsies)." I'm a Jeanine Tesori fan. Two words: Fun Home (the recent Off Broadway musical based on Alison Bechdel's graphic novel about coming out, and understanding her father's apparent suicide). 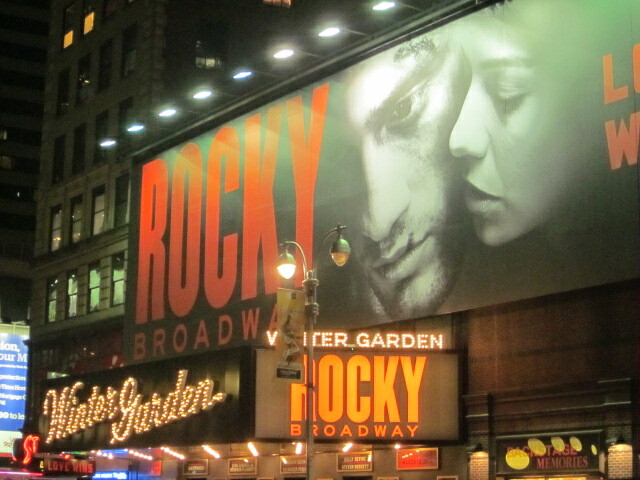 I was also really pleased with her 2013 New York City Center concert presentation of a favorite musical of mine from the late 70s, I'm Getting My Act Together and Taking it On the Road. 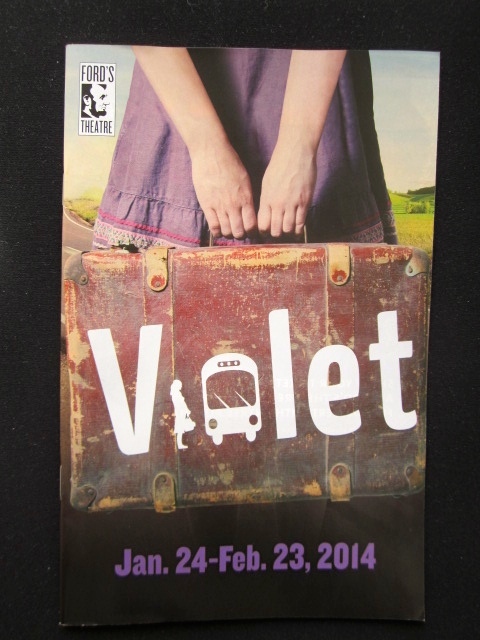 Now that I've seen her earlier work in Violet, about a young woman with a serious facial disfigurement from a childhood accident who is desperately hoping for a "cure," I'm even more enamored of her ability to handle delicate human situations, and the ridiculous complexity of being human. 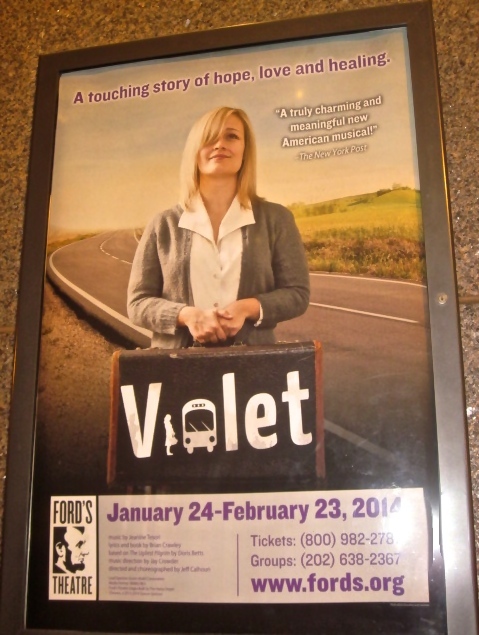 I will be seeing the Roundabout Theatre Company production of Violet, starring Sutton Foster, in April, so it will be interesting to contrast the two takes on the show. 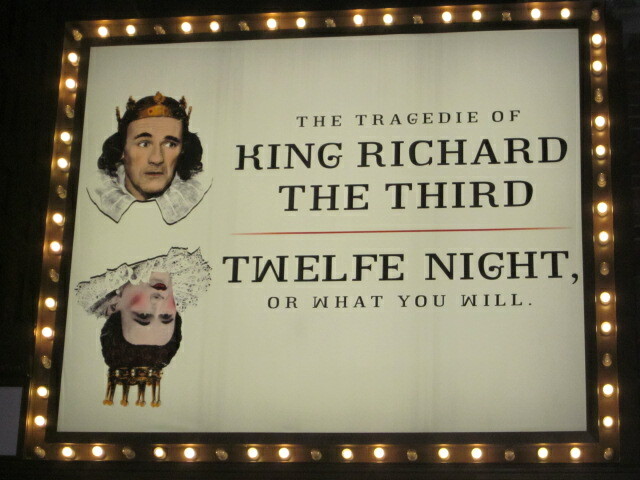 As I understand it, the show is being tightened up in the Roundabout adaptation, so I'm happy to have seen this full version. 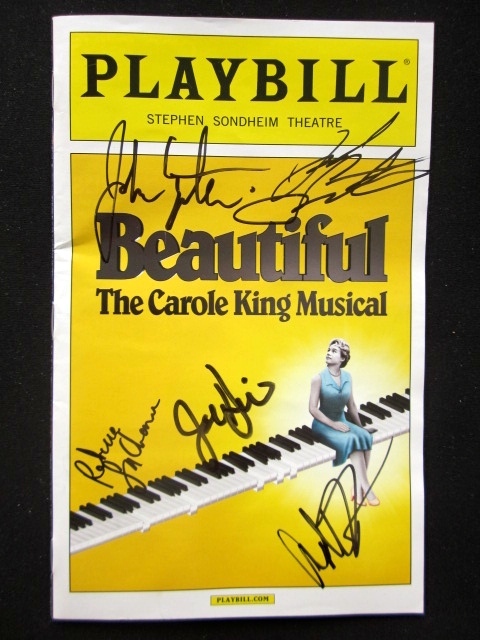 The Ford's cast was really wonderful, and the staging was excellent. P.S. I now definitely need to see Caroline or Change too! What? 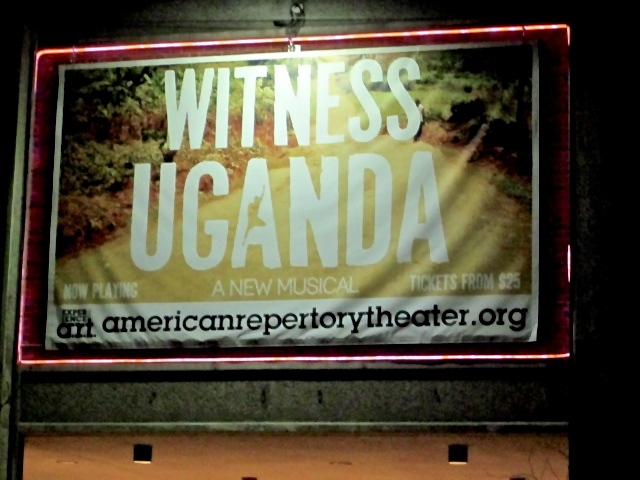 From the show website: "When Griffin, a young man from New York City, volunteers for a project in Uganda, he finds himself on a journey that will change his life forever. 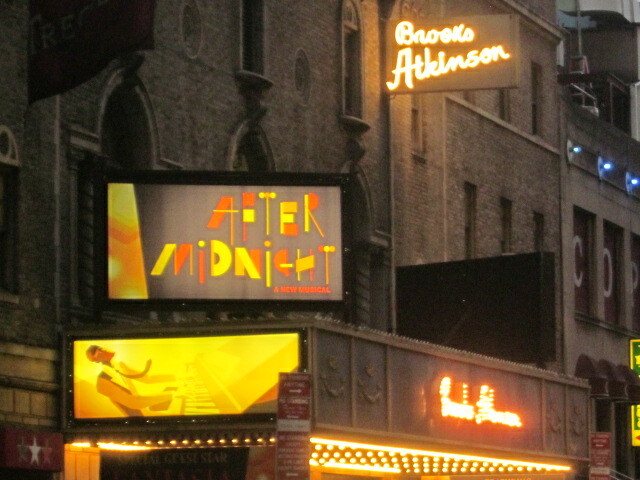 Inspired by a true story, this rousing new musical, staged by Tony Award-winning director and A.R.T. Artistic Director Diane Paulus, exposes the challenges confronted by American aid workers and the complex realities of trying to change the world." What? From the show website: "Welcome to British Colonial India, where the innocent dockworker Galy Gay is rather unorthodoxly enlisted into Her Majesty’s Armed Forces. Watch him be “dismantled like a car” and reassembled into the ultimate fighting machine in this early knockabout, anti-just-about-everything farce by the ever impertinent Bertolt Brecht. 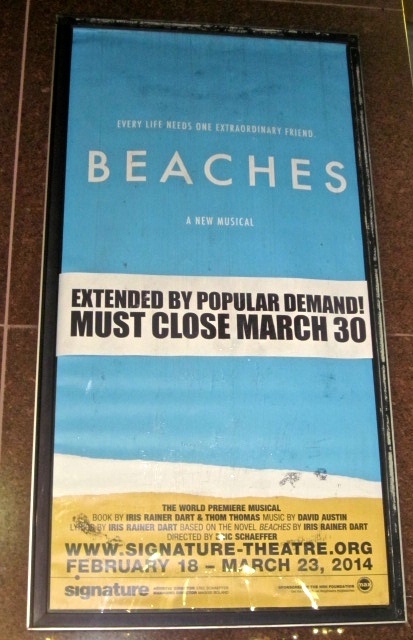 This production boasts another new score and songs by Tony Award-winning composer Duncan Sheik (SPRING AWAKENING and last season’s production of Brecht’s THE CAUCASIAN CHALK CIRCLE)." What? From the show website: "Sprung from the pen of world-renowned author Thomas Keneally (Schindler's List,) Transport derives from the true story recalled by the grandmother of his wife, Judy, who journeyed in chains from Cork, Ireland to Sydney, Australia in 1846. Transport tells the story of the impoverished Irish women and young girls (the so- called “undesirables”) who were deported on The Whisper, a prison ship, to the Australian penal colonies. 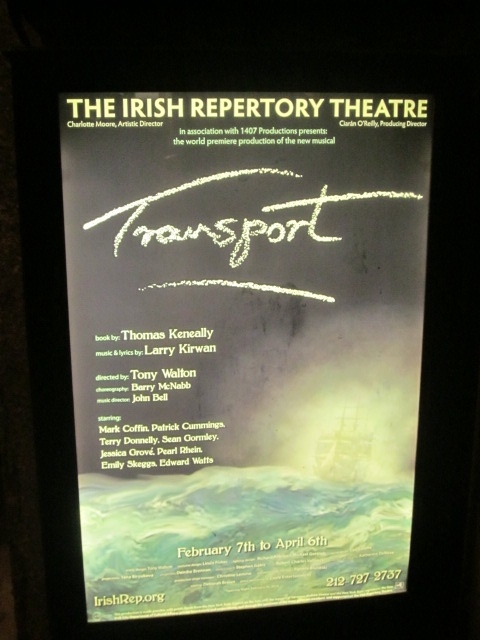 Transport’s characters include members of the ship’s crew, an exiled Irish priest, and four of the unfortunate female prisoners. With an authentic score by Black 47's Larry Kirwan that features traditional Irish music mixed with a contemporary Folk-Rock & Broadway resonance, Transport transcends time, place and character with a hauntingly moving immediacy intertwined with the indomitable Irish spirit and a shared and abiding humanity." What? 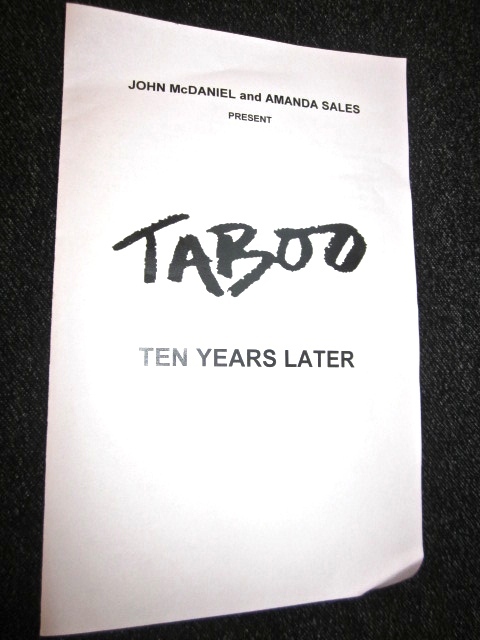 From the show website: "Exactly ten years after closing on Broadway, Boy George’s TABOO returns to New York for a very special two-night-only engagement benefiting Broadway Cares/Equity Fights AIDS. The concerts star Matthew Rowland (Boy George) and Samuel Buttery (Leigh Bowery), both of whom will be reprising their performances from the 2012 revival of TABOO at the Brixton Clubhouse in London. Jeremy Kushnier (Footloose, Jersey Boys, Jesus Christ Superstar) takes on the role of “Philip Sallon.” BOY GEORGE’S TABOO: TEN YEARS LATER will also reunite original Broadway stars Sarah Uriarte Berry (Nicola), Jeffrey Carlson (Marilyn), Liz McCartney (Big Sue) and Cary Shields (Marcus), and ensemble members Jennifer Cody, Lisa Gajda, Bob Gaynor, Curtis Holbrook, Donnie Keshawarz, Jennifer K. Mrozik, Nathan Peck, Alexander Quiroga, Jody Reynard, Asa Somers, Denise Summerford, James Tabeek, and Gregory Treco." What? From the show website: "Art imitates Life. Life imitates Art. When two actors with a history are thrown together as romantic leads in a forgotten 1930s melodrama, they quickly lose touch with reality as the story onstage follows them offstage. 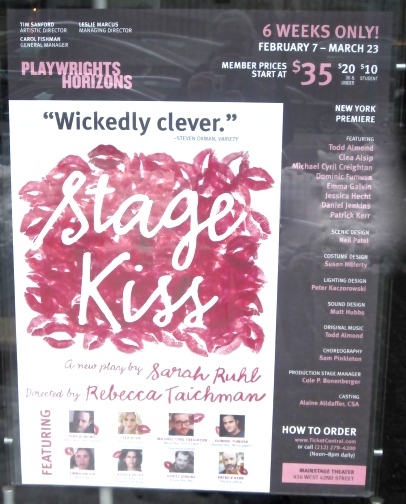 Sarah Ruhl’s singular voice returns to Playwrights Horizons with Stage Kiss, a charming tale about what happens when lovers share a stage kiss—or when actors share a real one." What? 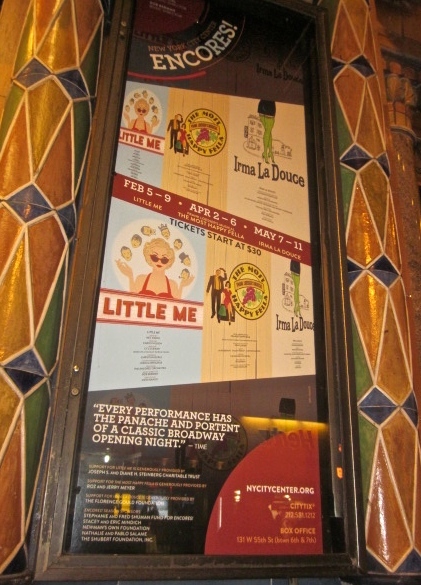 From the show website: "Little Me, Neil Simon’s first musical, is a brash, fast and furious comedy about the glamorous Belle Poitrine and her six suitors. Tony Award winner and “Smash” star Christian Borle will take on the multiple roles of Belle’s husbands and lovers—an assortment of oddballs ranging from an innocent college boy to a lecherous octogenarian. Cy Coleman and Carolyn Leigh's high-energy score includes "I've Got Your Number," "Real Live Girl," and "The Other Side of the Tracks." 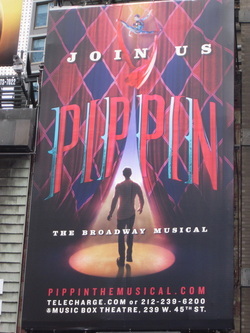 Starring: Christian Borle, Robert Creighton, David Garrison, Harriet Harris, Judy Kaye, Lewis J. Stadlen, Lee Wilkof, Tony Yazbeck, and Rachel York"
What? 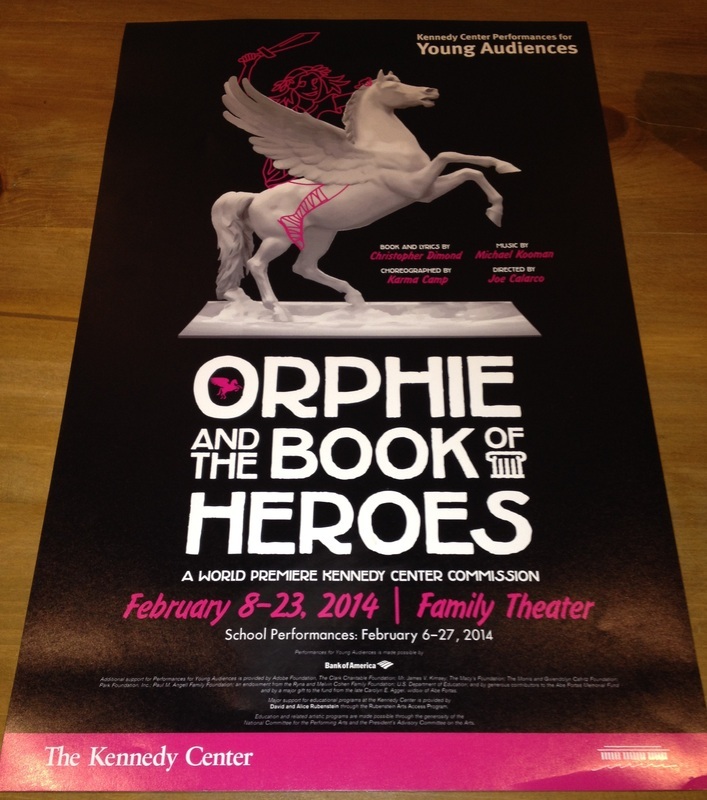 From the show website: "Spunky and curious Orphie, a young girl in Ancient Greece, sets out to save storyteller Homer and his Book of Heroes in this humorous world premiere musical--a quest that takes her from the heights of Mt. Olympus to the depths of the underworld."